Earlier work from the Weckhuysen group has indicated that FCC particle show tremendous intraparticle heterogeneity. However, most traditional ways to characterize catalyst particles can only measure ensemble averages. In this project, the focus is on the development of four new tools to study single FCC particles. The tools include (1) microfluidic chips to study ionic transport in the pores of FCC particles using ion concentration polarization. Moreover, (2) the catalytic activity of a single particle can be studied in small reaction chambers by GC-MS. In a different chip, the composition of FCC particles can be studied using impedance spectroscopy (3). In recently submitted work, we demonstrate the sorting of FCC particles based on iron-content. In this project, laminar flow, drag forces and gravitational forces will be balanced inside a microfluidic chip to sort FCC particles based on differences in density (4). (You’ll be redirected to Utrecht University. BIOS has recently purchased the IRSweep instrument, enabled by investment funding from the MCEC program. The unique feature of this instrument is to complete a single scan of ~100cm-1 within 1μs. This offers unprecedented opportunities in the detailed study of reaction kinetics using mid-infrared (MIR) spectroscopy. Following reactions at the microsecond timescale offers unique opportunities to follow reaction mechanisms in detail. The way these measurements are typically conducted is by triggering the reaction with high precision. To enable a higher signal to noise ratio, this triggered reaction is repeated many times. Essential for this to work is high control of this trigger, and a stable reaction that won’t change between the first and last event. E.g. photocatalytic reactions can be triggered by light pulses. However, tools for more elaborate triggering mechanisms at this time scale do not exist yet. It is the aim of this project to develop such tools, using either electrochemical triggers, or small reaction chambers with fast switching valves. Moreover, to limit the required number of repeats single mode waveguides will be designed to enhance the sensitivity and ultimately enable single scan experiments. In parallel, these thin waveguides can be used as membranes for operando X-Ray spectroscopy. Microfluidic droplet generators are established tools to synthesize (catalyst) particles. Generally however they have been severely limited in droplet throughput (#/s), produced droplet dimensions (> 1mm diameter), and also lacked combinatorial possibilities to build custom assemblies of different catalyst particles. Advanced droplet manipulation, such as paired droplet formation, droplet merging, droplet shrinkage, double emulsion (droplet-in-droplet) preparation or droplet splitting have been previously applied e.g. in single cell analysis. These tools would present us with the solutions to address the goals listed above to create advanced catalyst particles by directed self-assembly. In this project, the aim is to produce a new generation of droplet generation chips for high-volume production of custom designed catalysts using self-assembly. The basic fluidic building block would be a unit for high-throughput production of sub-micron sized droplets of high monodispersity. This scale-up of production would allow for novel ways of catalyst particle analysis, traditionally problematic to conduct at lower volumes. Additionally, these droplet generator chips will be extended with the previously mentioned advanced droplet manipulation techniques of pairing, merging, shrinkage, splitting and double emulsion preparation. This project will utilize recently developed , (photo)electrochemical microreactors which can be integrated with mass spectrometers, to analyze the mechanism of (photo)electrochemical reactions. These include cathodic reduction of CO2 to value added products such as formate, and anodic oxidation of water to oxygen/hydrogen. Particular focus will be on the use of fast transients in applied voltage or illumination to determine reaction kinetics. Micro-valves to be developed in project 4 can be integrated in the microchip to allow transients in electrolyte composition (pH, anions, cations). The knowledge on (photo)electrochemical reaction kinetics obtained by these transient analyses is complementary to advanced analysis of (photo)electrochemical surface compositions by In situ XPS, currently installed and soon to be utilized at the university of Eindhoven by Dr. Hofmann and Prof. Hensen, as well as other spectro-electrochemical characterization such as to be developed in project 3 based on infrared spectroscopy. In this project “solvated electrons” generated in organic solvents will be used for the valorization of biomass into value-added compounds, such as fine chemicals. This will be done by reduction of biomass-derived molecules with excess electrons generated through field electron emission into (dielectric) solvents and ionic liquids. Field emission in vacuum is well-known for e.g. electron microscopy and related applications, but has hardly been exploited in liquids. Reduction by solvated electrons is known as “Birch reduction”, which typically is performed by dissolving alkali metals in liquid ammonia. A green variant of the Birch reduction process will be developed which runs at ambient conditions in environmentally friendly solvents. This will be done by manufacturing dense arrays of nanoneedles from materials with electrical and chemical properties suitable for high electron emission flux, and embedding them in a continuous flow microreactor configuration. The efficiency and selectivity of this system for (partial) reduction of compounds like furfural and aromatic compounds derived from lignin will be investigated, where the degree of reduction will be controlled by residence time in the microreactor. The potential for scale-up will be considered. The production of solar fuels, among which hydrogen gas, has gained much attention in the last decade. However, the promised ideal of powering disparate devices using sunlight with zero-emissions still faces scientific and technological challenges. Even with the recent development of new materials and device architectures, there is a knowledge gap that needs to be covered on the role of H2 (and O2) bubble generation and transport, specifically in continuous flow systems. The search for new catalytically active materials is at present often still a matter of testing many differently synthesized materials. Considering that each material most likely will need slightly different operating conditions to work optimally, and it is clear that this work is laborious. In this project, a platform is proposed where this search for new catalyst materials is carried out in many parallel chambers. Each chamber is fitted with tools such as heaters, sensing elements, or electrodes required to measure and operate at different reaction conditions. The main aim of this project is to develop this device, containing valves, waveguides or windows for sensing, electrodes for heating and electrochemical actuation, and reaction chambers. Due to the nature of the reactions studied, this device needs to be developed in chemically and high-temperature resistant materials. Applications include the study of electrocatalytic materials or (single) catalyst particles. Professor Albert van den Berg is Distinguished University Professor of the University of Twente (The Netherlands). He received his master degree in applied physics from the University of Twente (The Netherlands) in 1983. 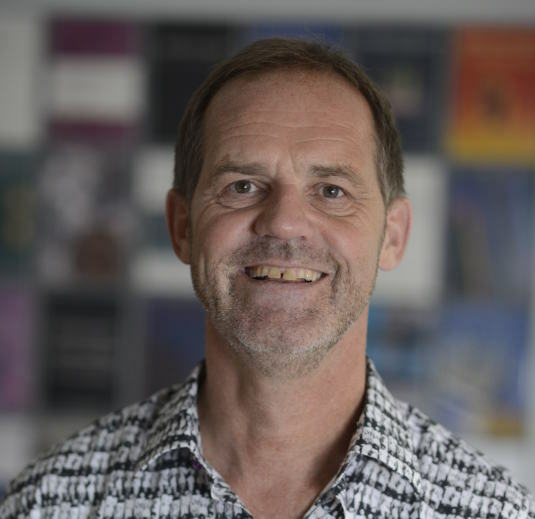 After obtaining his PhD from the University of Twente in 1988, van den Berg worked at the Swiss Center for Electronics and Microtechnology (CSEM) and the Institute of Microtechnology (IMT) of the University of Neuchatel (Switzerland). From 1993 until 1999 he was research director Micro Total Analysis Systems (μTAS) at the MESA+ institute of the University of Twente. In 1998 he was appointed as part-time professor Biochemical Analysis Systems and in 2000 as full professor on Miniaturized Systems for (Bio)Chemical Analysis in the Faculty of Electrical Engineering, Mathematics and Computational Science of the same university. Van den Berg (co-) authored ~ 270 publications in peer-reviewed journals with an average number of citations per paper of ~ 27 and a Hirsch index of 47. He was asked to write two Nature News & Views articles on nanofluidics publications, and co-edited a special issue in Chemical Society Reviews on micro and nanofluidics. Furthermore, van den Berg (co-) edited 4 books, is (co-) author of > 5 conference proceedings publications, > 10 national journal publications, > 10 book chapters, and holds > 15 patents/ patent applications. Van den Berg is associate editor of Lab on a Chip and editorial board member of Biomedical Microdevices, Sensors and Actuators B and Microfluidics and Nanofluidics. He obtained a TOP NWO (2012) grant from The Netherlands Science Foundation (NWO) and an Advanced ERC grant (2008) and ERC Proof of Concept grant (2011) from the European Research Council. Van den Berg also has received several research awards, including the 2002 Simon Stevin Master award from the Dutch Technical Science Foundation (STW), the 2004 Leverhulme Trust Award for knowledge valorization, the 2007 Top Institute Food and Nutrition publication Prize and the 2009 Spinoza Award, the most prestigious scientific award in The Netherlands. Furthermore, he has been appointed in 2012 as Distinguished Professor at South China Normal University. Van den Berg is Flagship captain of the Nanofluidics program of the NanoNext research program (since 2008). Van den Berg is also an elected member of the Royal Netherlands Academy of Sciences (KNAW, 2008-onwards). He serves on several boards and panels for research, including board member of the Wyss Institute at Harvard University, the ETH D-BSSE institute in Basel, board member of the KNAW, member of the Dutch Health Council and board member of the Chemical and Biological Microsystems Society. He also has been founding chairman of the microTAS conference series (1994-now) as well as chairman of the National Sensor Conference (1998), the Gordon Research Conference on Chemistry and Fluidics of Microfluidics (2003) and the 1st International Conference on Nanofluidics (2006).